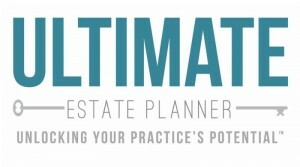 Whether you’re an estate planning attorney, CPA, financial advisor or life insurance agent, it’s important that you stay on top of the tax and law changes to be able to provide the best possible planning for your clients. This is why we enlisted the help of nationally renowned CPA and tax planning expert, Robert S. Keebler, CPA/PFS, MST, AEP (Distinguished), CGMA, to help us put together a monthly e-mail newsletter, consolidating all of the latest important cases, rulings, IRS announcements and tax and estate planning changes, along with the planning strategies that result from these changes. 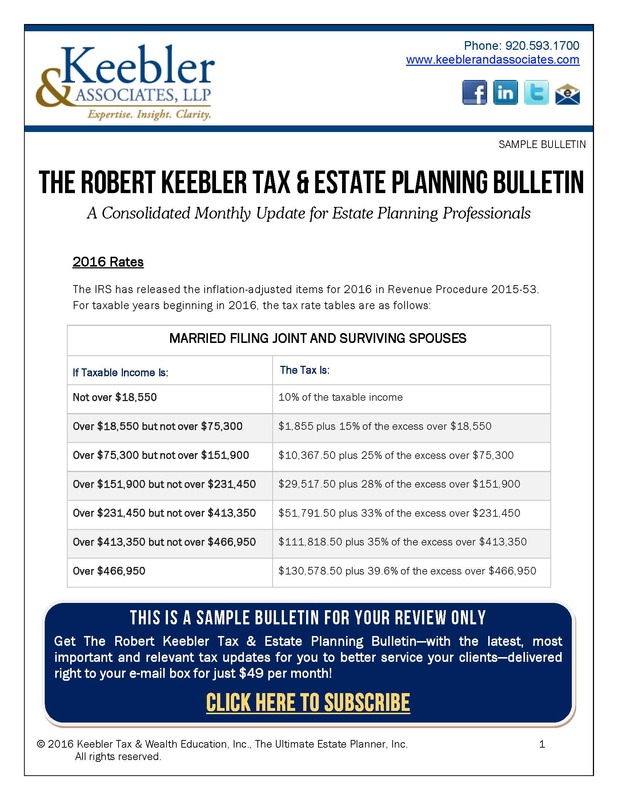 Bob Keebler and his team at Keebler & Associates have agreed to put together a consolidated monthly bulletin where you will get all of the things you need to know right at your fingertips and delivered to your e-mail inbox for you to review at your convenience. Think about it…don’t you want to stay on top of all of the changes coming to the tax and estate planning world during an important election year and, even more so, for 2017 and beyond? Notices and updates that aren't available anywhere else! Monthly - Your credit card will be charged today for $49 and charged every month thereafter. Your subscription will then automatically renew each month and you can cancel at any time. Annual - For additional savings, you can choose to pay for the next 12 months all up front. Your credit card will be charged today for $499 and your subscription will automatically renew each year. You can cancel your automatic renewal at any time up to one year from the date of your subscription. To review a sample Monthly Bulletin, please complete the form below.